Star Wars VIII had some big shoes to fill. On the left foot was the behemoth that was The Force Awakens and on the right was the juggernaut that was Rogue One. So the Star Wars production crew went hard under the watch of Rian Johnson and Kathleen Kennedy. And now we have The Last Jedi. Some might say it's an amazing film. Others may say it has too many plot holes and plot choices. Some might say, it's better on a second watch. Whatever, on with the show. 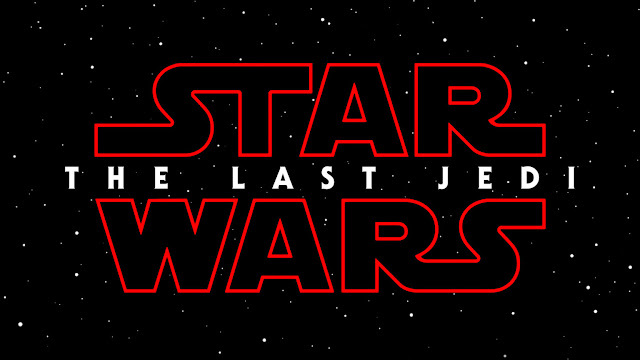 Director Rian Johnson came up with the episode's title during his first draft and had to keep it secret for several years. Benicio Del Torro, was originally cast as Darth Maul in The Phantom Menace but dropped out when he realized his on screen time would be minimal. So the trivia is he has been cast twice for a Star Wars film! 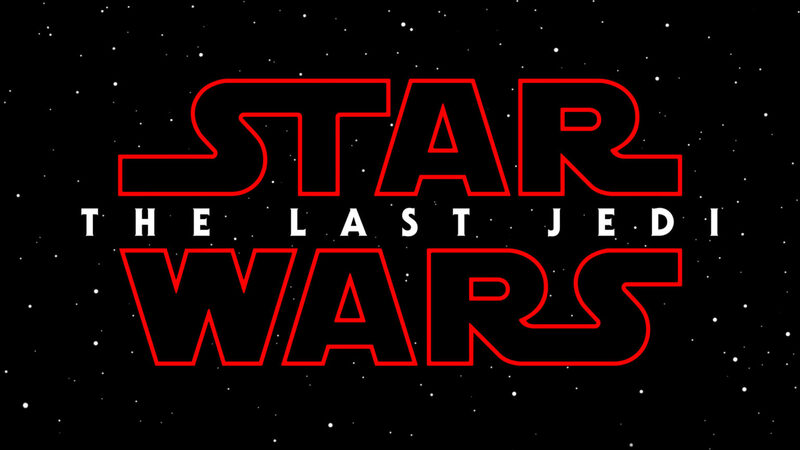 Rian has confirmed that to his mind, The Last Jedi title refers to Luke. Tom Hardy (Batman, Peaky Blinders) and Gary Barlow (singer from Take That) made cameo appearances as Stormtroopers, however their scenes were cut (as were those of Prince William and Harry). It's almost a forgone conclusion these days, but Warwick Davis has yet another cameo. Here's a list of the cameo parts of The Last Jedi. Jimmy Vee plays R2D2, formally replacing Kenny Baker following his death. Carrie Fisher had filmed her scenes in the months before her untimely death. The horses that Finn and Rose escape on during the scene on Canto Bight are called 'falthiers'. The handler / trainer of the falthiers goes by the name of Bargwill Tomder. Rian Johnson watched three particular movies to help inspire him when writing the script. Rian said "Twelve O’Clock High was a big touchstone, for the feel and look of the aerial combat as well as the dynamic between the pilots. Three Outlaw Samurai for the feel of the sword-fighting, and the general sense of pulpy fun. And To Catch A Thief was a great film to rewatch, for the romantic scale and grandeur". TLJ begins immediately where The Force Awakens left off. Luke's first words to Rey are "Who are you?" John Williams again wrote the score, his eighth time for a Star Wars movie. When Rian was asked about his approach to the soundtrack and whether it was to lean on the classic themes or lean more on new music he reply that his approach was "to hand the movie to John Williams. ;-)"
Captain Phasma returns and now brandishes a spear as her weapon of choice. Canto Bight is on a planet called Cantonica. Carrie Fisher's sudden death in December 2016 meant she had not completed her audio dialogue re-recording parts. The sound team had to take snippets of her work "from here and there" to get the job done. Rian Johnson asked JJ Abrams for a Force Awakens script change to allow R2D2 to accompany Rey to Ach-to Island instead of BB8. This was so R2 could feature more and also echo the fact that he was on Degobah with Luke during his training with Yoda, much the same as Rey does with Luke. When Rey reaches out and touches the rain on the Island, this is her first experience of rain. When she is drawn into the dark side of the island, that's probably her first time submerged in salt water or perhaps even swimming. Remember, there was not a lot of water on Jakku. The Last Jedi has 12 scene end 'wipes' compared to The Phantom Menace which had 55. Kelly Marie Tran by playing Rose Tico is the first major character of Asian heritage. George Lucas had absolutely no part in the development of the movie. In the prequel Rogue One, Jyn Erso reads out the list of data file names - one is 'hyperspace tracking' - this shows it was a 'thing' in the Star Wars universe and not just a gimmick for the movie. When Luke is projecting himself to Crait from the Island there are two clues for the view. His beard is brown and he appears younger - the same look as when he last say Kylo Ren. While Kylo's feet where disturbing the red salt, when Luke walked over it, no red salt was disturbed. Rogue One director Gareth Edwards has a cameo as one of the last Rebels on Crait - you can catch him in the trenches. The classic line "I've got a bad feeling about this" was not said by a human but apparently BB-8. DJ's name stands for Don't Join. As in 'don't join a side' - it's actually written on his hat in Aubresh. No light sabers actually cross each other in the heat of battle, a first for a main trilogy Star Wars film. If you look carefully in the movie, you can see Laura Dern's Admiral Holdo say “pew” when she fires her stun blast at C’ai Threnalli. The 'iron' ship fakeout scene is a nod to 'Hardwear Wars', a short film which was one of the original parodies of Star Wars that came out in 1978. When Luke raps Rey over the knuckles with the plant, that's a call back to when Yoda trained Luke in Empire. When Poe says to Rey, "I know" this is a call back to Han Solo's famous quote. Rian was hired to direct the The Last Jedi just when J.J. Abrams was starting to shoot The Force Awakens. More than 125 sets for the production where made. There was a 110 days shooting schedule. The amount of practical creatures in The Last Jedi is bigger than The Force Awakens and Rogue One combined. Adrian "Ade" Edmondson, of British Sitcom TV Royalty, has an extended cameo as a First Order Officer. Frank Oz was brought back to be the puppet master for Yoda, the first time since The Phantom Menace when the theatrical release featured the puppet (the home release was CGI). Oz assumed that Yoda would be a CGI version and was surprised to learn Lucasfilm intended to Yoda to be a puppet. Finn's jacket shoulder as now been repaired - Kylo Ren made a cut in it when he and Poe fought in The Force Awakens. But wait! That's not all! We have plenty more trivia about the prequel Han 'Solo' film.